Over the last five years of being a wedding photographer, I’ve learned so many tips and tricks that I get to pass along to my bride and grooms! I truly feel like I get to help my couples by providing them with my knowledge and information that can help make their wedding planning experience stress free and dare I say, fun! So if there’s one thing I know, it’s that there will always be questions about the importance of an engagement session. And I totally get it! Your life is busy as it is and wedding planning isn’t helping matters– so to add on one more thing, seems like a lot. But I’m here to tell you that I believe with my whole heart that the engagement session is crucial to the Allison Ewing Photography wedding experience. First, let me start by saying that my wedding package includes a complimentary engagement session and I do this because I truly, truly want you to document this special season of your relationship. But saying that to someone who isn’t sold on having engagement photos taken, it’s not enough to persuade them. So if that sounds like you, then I hope these next points will help change your mind! 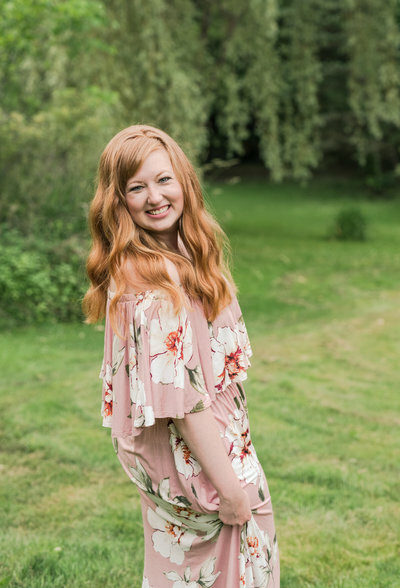 Get comfortable in front of a camera: I believe this is the number one reason why you should do an engagement session! Let’s face it- it’s not every day that you get dressed up, go to a location and have a professional photographer pose you. It can be super intimidating to be in front of a camera! (I totally get it!) But my main goal of the engagement session is to work past those nerves and have my couples be completely comfortable and confident in front of my camera. I can guarantee you that on your wedding day, you will be complete professionals when it comes time for your portraits! Since we’ve already spent time together and are comfortable with each other, your photos will be a piece of cake! Get to know your photographer: Your wedding photographer will be with you for 8+ hours on the most important day of your lives. (You’ll be spending more time with the photographer than you will your family on your wedding day!) I believe that it’s so important to create that relationship early on– well before your wedding day arrives. A great way to do this is with the engagement session! During engagement sessions with me, my clients get to see how I interact with them, how I pose and in general what makes me, me! This makes a huge difference on the wedding day! I never want to introduce myself to my bride and groom on the day of their wedding. Instead, I want to walk in and give you both big hugs and tell you how excited I am to be spending more time with you! I believe having this prior relationship and building trust is the best way to get natural photos on a wedding day! Celebrate this special season in your life: Being engaged to your best friend is reason enough to celebrate! And doing so with an engagement session is the perfect way to capture this special time in your lives. The perfect excuse to pop the bubbly! Take photos without being rushed: Believe me when I tell you that your wedding day will go so fast. 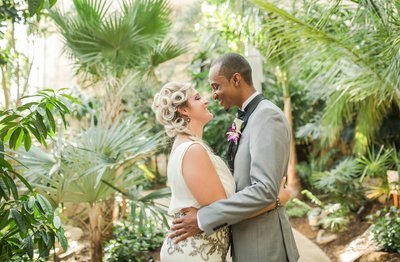 It’ll seem like one moment you were getting your hair done, and the next you’re dancing the night away at your reception! And depending on the timeline of the day, there may not be a ton of time for your portraits before you have to be at your reception. Having engagement photos is perfect because you won’t ever feel rushed during them. It’s a great way to just relax, enjoy this special time and capture memories without a timeline! Get professional photos for wedding planning: From save-the-dates to a wedding website and guest books, engagement photos have plenty of uses! I’ve also had multiple couples use their engagement photos as decorations for the bridal shower and their receptions. Professional photos are also a great gift idea for parents and grandparents! Incorporate the things you love: Engagement sessions are great because you can customize them to you and your fiance! Do you love craft beer? 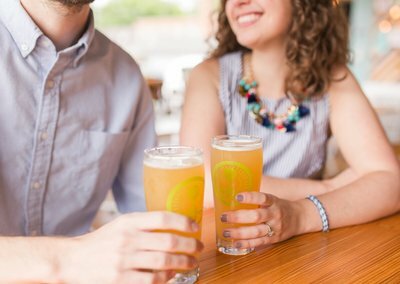 Let’s take photos at your favorite brewery! Love your dog? Bring them along for some photos! Want cozy photos in your home? Let’s do an in-home engagement session! There’s so many ways to personalize your engagement photos so let’s make it happen! Have your hair and makeup trial before your wedding: This tip is specifically for the brides! Most times, brides will do both a hair and makeup trial to test out their look before the big day. It’s always a great idea to schedule these trials on the day of your engagement session so you can spend the day getting pampered and you’ll get to see how it looks in photos! So there you have it! My top 7 reasons why engagement sessions are so important. As you can see, it’s no secret that engagement sessions are my favorite thing to shoot and I hope you have a better understanding of how crucial these photos can be to your overall wedding experience! Enjoy some of my favorite photos from my past engagements sessions below!